The 'Romantic Evening' whimsical landscape piece is truly a visual spectacle with Megan Duncanson's talent on full display. 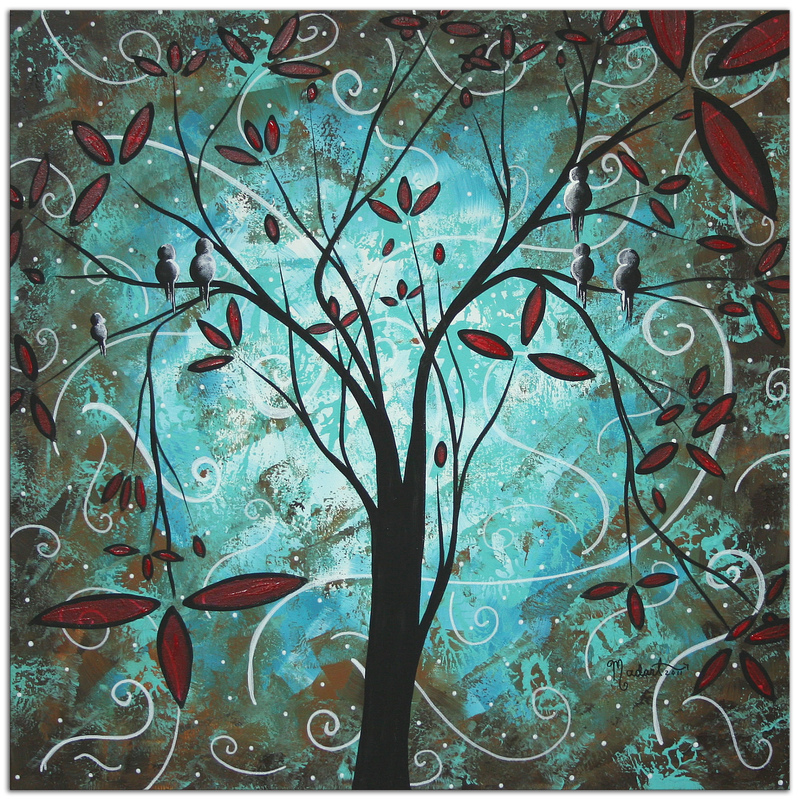 It features a gorgeous turquoise blue background with a fading brown shadowbox effect around the edges, with an abstract tree in partial silhouette and creative black-rimmed red leaves scattered throughout the branches. The background is accented with curls and swirls of artistic detail adding to the wonderful whimsical effect. The attractive satin/matte finish and durable construction work beautifully in a living space, office, home, hospitality, or restaurant display, and the fantasy/whimsical style lend themselves even to a child's modern playroom or upscale nursery. 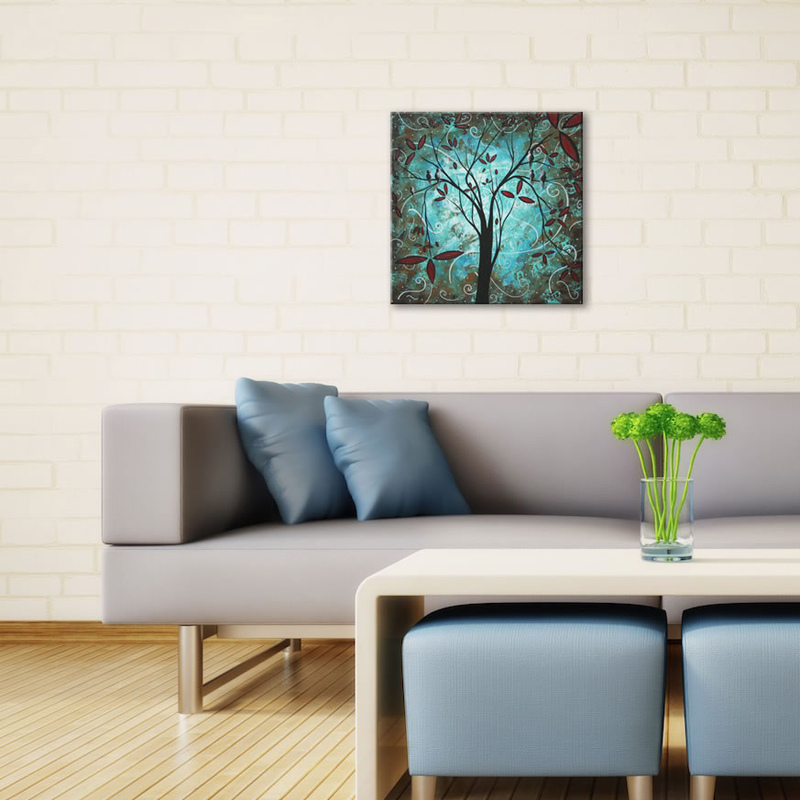 Megan Duncanson is one of our newest artists to join the Modern Crowd family, with a collection of designs exclusive to our line of fine art metal gicl��_��__��_��___��_��__��_��____��_��__��_��___��_��__��_��_____��_��__��_��___��_��__��_��____��_��__��_��___��_��__��_��______��_��__��_��___��_��__��_��____��_��__��_��___��_��__��_��_____��_��__��_��___��_��__��_��____��_��__��_��___��_��__��_��_______��_��__��_��___��_��__��_��____��_��__��_��___��_��__��_��_____��_��__��_��___��_��__��_��____��_��__��_��___��_��__��_��______��_��__��_��___��_��__��_��____��_��__��_��___��_��__��_��_____��_��__��_��___��_��__��_��____��_��__��_��___��_��__��_��________es.